Molly Russell argues Bob Dylan’s recent Nobel Prize win is wholly deserved: his lyrics of protest and emancipation speak louder now than ever before. Bob Dylan’s place as one of the world’s greatest artistic figures was elevated on 13th October when he was awarded 2016’s Nobel Prize in Literature. 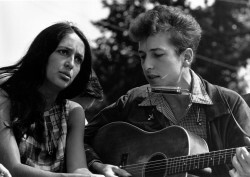 Explaining their decision, the Nobel Prize panel praised Dylan for “creat[ing] new poetic expressions within the great American song tradition”. For many, his music is a uniquely timeless mythical force which invokes sharp and memorable images, but honouring the literary accolade to a musician has sparked debate over the poetic merit and lyricism of Dylan’s work. A larger political comment about establishment recognition of new genres, notably song writing and what constitutes as literature, has also been made. While Dylan himself is said to be bemused to be the recipient of this honorary doctorate, he is not such an unconventional choice. At October’s press conference, Sara Danils (Secretary of the Swedish Academy), announced: “if you look far back, 5000 years, you discover Homer and Sappho. They wrote poetic texts which were meant to be performed, and it’s the same way for Bob Dylan”. Dylan’s influences and the styles he’s imitated, nurtured and redefined, are far more than simple folk songs. He has become the embodiment of his own American folk tradition, as well as towering above other artists in areas of expressions such as protest and romance writing. 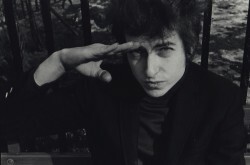 The question of whether Dylan is a deserving recipient has largely stemmed from the primary accompaniment of music to his lyrics, with critics and poets arguing that first and foremost he is a musician, who has already been recognised extensively in the form of his 12 Grammy Awards and inductions into various Halls of Fame. As well as analysing Dylan’s lyrics, poetically (separately from the music), I think it’s important to explore the origins and definitions of poetry, and the role Dylan represents to this classification. Why does Dylan’s win mean for the Nobel Prize committee and the canon of modern literature too? Poetry’s roots lie in the oral tradition of reciting or singing poetry. It’s a false and restrictive claim to demand poetry must be read solitarily and silently. To this day, recitations, readings and slams are extremely popular; poetry comes alive and speaks to people when it is performed and spoken, or sung. Many of Dylan’s lyrics can stand alone as a poem – the musical accompaniment does not detract from its literary merit but only enhances its poetic beauty, while extending the accessibility of this literary form. It is not the first time a song writer has been awarded the Nobel prize for literature either. 1913’s recipient, Indian poet Rabindranath Tagore, was honoured for his “profoundly sensitive, fresh and beautiful verse, by which, with consummate skill, he has made his poetic thought, expressed in his own English words, a part of the literature of the west” (as the prize committee said at the time). The “verse” mentioned is in fact songs, notably from his work Gitanjali, translated from Bengali as ‘Song Offerings’. Unlike Dylan, Tagore is author to a remarkable body of poetic works, however his oral roots and pioneering citation from the Nobel committee rings reminiscent of their justification for Dylan in 2016. They are both lyricists who have created a new poetic form through the bricolage of simple chords, folk tradition, and political and religious slogans. Some fans who value Dylan’s gravelly delivery and rhythm may struggle to disentangle the lyrics from the music. The award celebrates his linguistic artistry, experimentation and dexterity – not necessarily his musicianship. The musical accompaniment, while excellent, is simply an efficient delivery service transmitting poetry to the mass population. Great authors create convincing and imaginative worlds, characters with eloquence and style. Dylan can convey the most beautiful images of the everyday, while bending political expression of protest to music and offering bold social commentary. Lyrically, ‘Tangled up in Blue’ could be a literary masterpiece. A story of love twists and longing is told by merging tenses and audacious internal rhymes. It’s effortless: “Words rang true and glowed like burnin’ coal/ Pourin’ off of every page, like it was written on my soul”, simply rolls off the tongue. His move to individual struggles captures listeners, his stories remind you of your own: “We always did feel the same/ We just saw it from a different point of view/ Tangled up in blue…”. Along with his intimate and honest portrayal of relationships – breakdowns or simply distance between lovers – his politically charged lyricism has arguably transformed the world. The lyrics of ‘Masters of War’, ‘Hurricane’ and ‘The Times They Are A-Changin’, to name just a few, are quoted by revolutionaries, artists and sung at demonstrations. 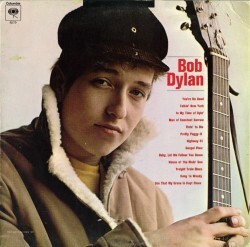 Dylan’s long spanning career is marked by his involvement with movements such as the Beat generation, which was as important to his biography as rock ‘n’ roll to Woody Guthrie. ‘Subterranean Homesick Blues’ is possibly an allusion to Kerouac’s novel The Subterraneans, published in 1958. 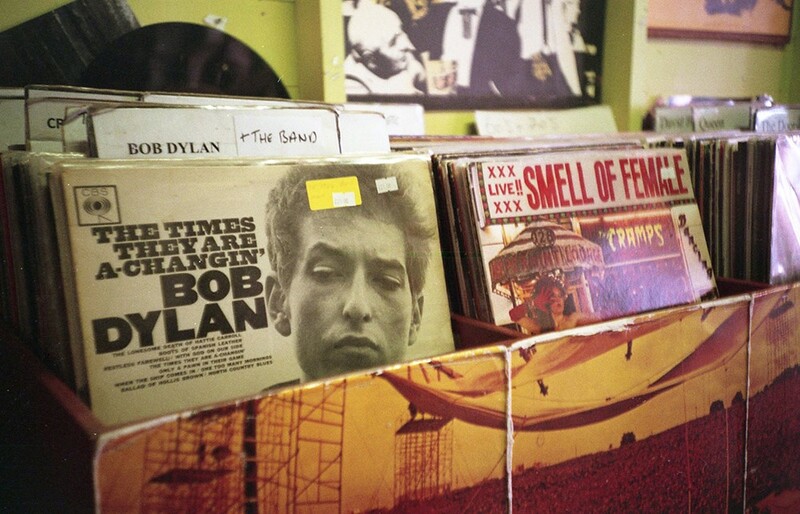 The graphic style of dropping cue cards in the music video and presence of Allen Ginsberg in the background illustrates how Dylan’s early style was immersed in beat culture and be-bop – as was folk music in general. He embraced the Beats’ affinities with the arts of Rimbaud and Eliot. He also embraced psychedelia, stretching him outside of the typical folk tradition. ‘Maybe Someday’ quotes “hostile cities and unfriendly towns”, echoing modernist T.S. Eliot’s poem ‘Journey of the Magi’. Both wordsmiths often characterise drifters. Dylan then, was shaped by the times just as much as he transformed the folk scene. Indeed, the story of America in the 20th century can be told via his lyricism. ‘A Hard Rain’s A-Gonna Fall’ details the sensory exploration of the threat and aftermath of a nuclear war. ‘Hurricane’, with lyrics such as “Now all the criminals in their coats and their ties/ Are free to drink martinis and watch the sun rise/ While Rubin sits like Buddha in a ten-foot cell/ An innocent man in a living hell”, drew attention to the false trial and conviction of boxer Rubin ‘Hurricane’ Carter. The power of Dylan’s emotive narrative of the case resonates powerfully today on the back drop of racist profiling, particularly in the United States. It’s been recognised that the Nobel committee are attentive to subtly aligning the writer’s values with political relevance. Czeslaw Milosz was awarded the Nobel prize in 1980 after years of being banned in Poland, in the same month the trade union Solidarity was established. On many levels, the timing of Dylan’s accolade is significant in the climate of an impending Trump presidency, a time in which it is imperative that compassion and justice, which Dylan espouses, prevails. The recognition of the wonderful richness of Dylan’s art – from intimate modernist verse to universal political hymns – has broken down barriers between disciplines and paved the way for less restricted literary appreciation. The Nobel committee opening its doors to the ‘unconventional’ symbolises, as declared by Salman Rushdie, that “the frontiers of literature keep widening”. Dylan has revitalised the award and brought to public attention his themes in a political climate that requires them most, as well as opening the doors to other musical artists such as Joni Mitchell, Bruce Springsteen and Leonard Cohen who too can be appreciated poetically. The Nobel committee got this right – Dylan’s ongoing achievement in the American song tradition is a literary feat to celebrate in many regards; celebration of his work, the oral /song tradition and a recognition of progress and rethinking of literature. This is truly a historic moment. If you’re still uncertain about a singer/song writer acclaiming a literary prize, don’t think twice, it’s alright. Molly Russell is a third year French and English Literature student, currently studying abroad at the Université Paris-Sorbonne.